I am so over my winter coat. I want sunshine and tulips. I can buy tulips but not the sunshine. Everyone has a favourite apple cake recipe, this is one of mine. When you need a bit of something sweet I love to bake with apples. Apples fill that sweet spot, there is nothing better then the smell of apples and cinnamon drifting from the oven, whatever the season. 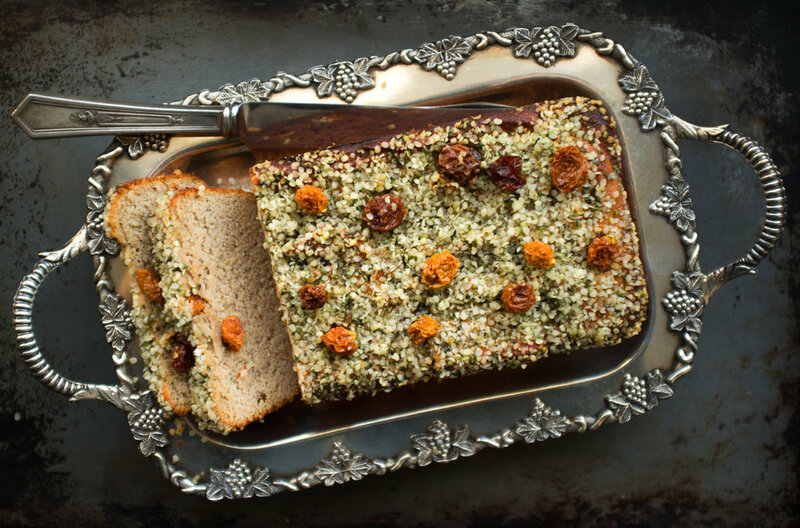 This loaf is easy to pull together and made with healthy ingredients. I used honey instead of sugar and coconut oil instead of butter. It's packed with apples so you can tell your inner cake-eater that you are eating fruit first; the cake part is just there to hold it all together. I call this recipe a loaf because I bake it in a loaf pan but I like to tell myself I am eating cake, a cake somehow sounds more special then a loaf, so I guess its a loaf-cake or just call it cake. It doesn't matter because before you know it, a little slice here and little slice there and it will be gone. In case you are wondering, spring arrives on March 20th at 6:29am. Hello sunshine! This apple cake is packed full with apples, almond flour and sweetened with honey. Makes one loaf and about 8 to 10 slices. 2. Line a loaf pan with parchment paper and oil the parchment paper and sides of the loaf pan, set aside. 3. In a medium size bowl whisk the eggs, honey and cooled melted coconut oil. 4. In a small bowl, mix the almond four, salt, cinnamon and baking soda. 5. Mix the dry into the wet ingredients, blend well then add the diced apples and mix again. (You will have a thick batter). 6. 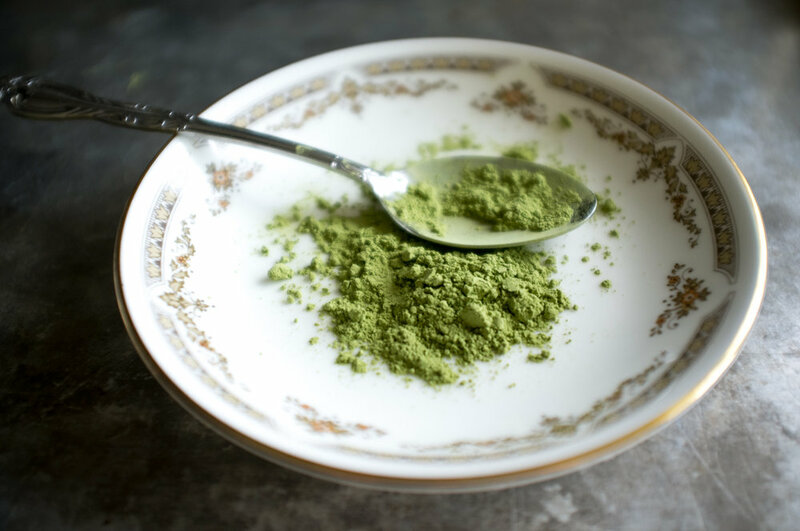 Pour into prepared loaf pan and sprinkle with hemp hearts and top with a few shakes of cinnamon. 7. Bake for about 50 to 60 minutes. 8. If it begins to brown lightly cover with foil. 9. Remove from oven and let cool for about an hour before removing from pan. This loaf keeps well in an airtight container, I like to store in the fridge. I think it tastes best the second and third day. LIfe was simple growing up, I could always count on a soft white fluffy loaf of Wonder Bread on the counter, Friday a freshly baked challah from Health Bread on the table, on Saturday nights, (if company was coming), a french stick magically became garlic bread, (which BTW my mother is still famous for) - and Sunday mornings my dad bought poppy seed twisters from Bagel World that we smothered in salted butter. These days I can pass on the Wonder Bread but I still love challah, garlic bread and bagels, who doesn't? But times have changed as more of us are trying to cut out bread, I do find it hard to stop myself from buying a crunchy baguette, a fresh Harbord Bakery challah, or a salty Bagel World bagel. I may never give it all up so to make myself feel good and not so guilty I eat this healthy nut and seed bread. Every ingredient is good for you and tastes delicious -- toast it, top it and eat it. This bread is so good, it tastes a bit like a light rye bread. Nutty and crunchy with a great texture. 2. Line the bottom of a loaf pan with parchment paper, then brush the bottom and side of the loaf pan with a bit of oil. 3. 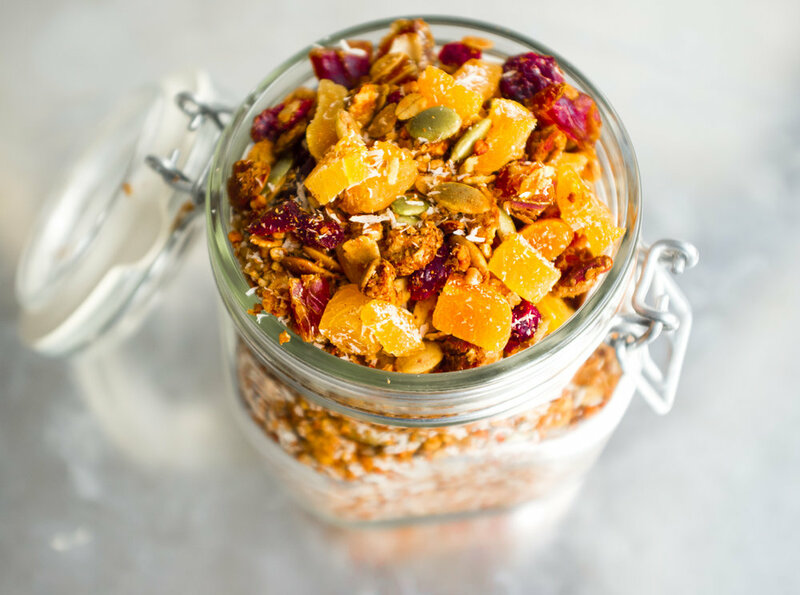 Mix the pumpkin, sunflower, flax and chia seeds in a bowl, set aside 3 tablespoons in a small dish. 4. Place the almonds in a food processor and pulse a few times. 5. Add the remaining seeds and pulse until coarsely ground. 6. Add the almond meal, coconut flour and baking soda and pulse until well combined. 7. Then add the eggs, almond milk, oil, honey, vinegar and salt and process until well combined. 8. Pour the mixture into the prepared loaf pan, then sprinkle with the 3 Tbsp of reserved mixed seeds. 9. Bake for 45 to 50 minutes, or until the bread is golden-brown and a metal skewer or knife inserted in the centre comes out clean. (I covered the loaf or the last 10 minutes as the mixed seeds on top were starting to get dark). 10. Remove loaf from the oven and let cool completely before removing from loaf pan. 11. Wrap the cooled bread in foil or wax paper, or place it in a plastic bag and store in refrigerator for up to 5 days. I love this bread toasted. For the recipe I have only tested it using a glass loaf pan. Today I am heading to a coffee shop on Queen Street, not to meet a friend, just me and my computer. I am not alone, the place is packed with lots of flannel, beards and toques; but it seems quiet except for the indie music playing Anderson Paak. Everyone is engaged, not with each other but in their own head space, headphones and computers open. I am tucked into a corner table, perfect for people watching. I am drinking a very large almond milk latte extra hot that is a bit too strong, the music is a bit too loud and the carrot muffin too big. At home I listen to Jazz FM, drink herbal tea and eat carrot sticks. But after an hour or so you can get use to anything and this coffee shop is starting to feel like home. But after awhile I have had enough. I need to talk, so I am heading home to drink my own tea, eat my own treats and talk to Gordy. 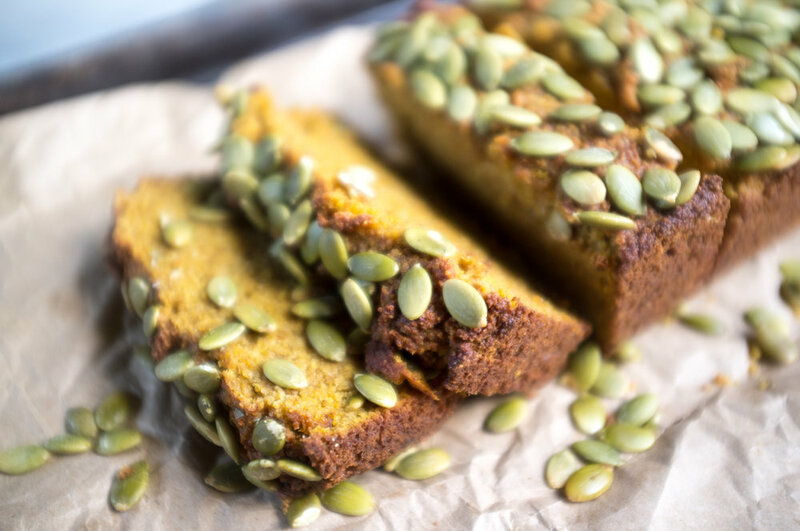 This pumpkin loaf will fill your home with the warm aroma of spices and sweet smell of honey and is healthier then the muffin I ate this morning. 2. In a large bowl, combine the almond flour, coconut flour, baking soda, salt and the rest of the spices. 3. In a separate bowl combine the eggs, almond butter, honey, banana, pumpkin puree, and vanilla extract. Mix everything together until you get a very smooth texture. (You could also use the food processor for this). 4. Pour the liquid ingredients into the dry ingredients and stir with a spoon until blended. 5. Add the chopped pecans. 6. Pour the batter into a greased loaf pan, (I used coconut oil), and bake in the oven for about 45 minutes, or until done, test with a cake tester or toothpick. 7. Let cool before removing from loaf pan. Who doesn't LOVE Chocolate? I love chocolate, so much that I have a chocolate drawer in my kitchen filled with chocolate. Other people, (no names here) - in my household try put other treats in that drawer, (well it does have a prime spot in the kitchen), but no, I am saying this loud and clear...chocolate only. My chocolate collection is made up of various dark chocolate; bars, nibs, cacao, chunks, chips, bon-bons... open the drawer and magic happens - I am instantly happy and if I'am happy then everyone is happy. This recipe is for all chocolate lovers. If you want a delicious loaf that is very moist, you can thank the zucchini and if you like to hide healthy stuff in your baking then thank me. Shh...try out my other recipes that are good for you and hide veggies. 1. In the bowl of a food processor combine almond flour and cacao powder. 2. Add in salt, espresso powder and baking soda and pulse a few times. 3. Then add in eggs, coconut oil, vanilla and honey and pulse again until all ingredients all mixed well. 4. Then add in zucchini and mix just until zucchini is combined. 5. Transfer batter to a greased medium loaf pan, (I used coconut oil to grease my loaf pan). 6. Top with a bit of extra zucchini, optional. 7. Bake at 350° for 35-40 minutes. 8. Test if done with toothpick or cake tester. 9. Cool in pan before removing. If you don't have espresso powder, you could use instant coffee or just leave it out. Can I paint my walls turmeric? bright like the sun and glowing as the moon. This time of year I find myself craving warm drinks, sometimes just to hold a warm mug. I often turn to herbal teas in the evening to remind myself to slow down. Now I am obsessed with the taste and health benefits of turmeric tea, a vibrant yellow-orange spice. The taste of this tea is similar to chai, my recipe uses almond milk, but use any milk you like. The spicy blend of cinnamon and black pepper is warm and ever so subtle when mixed with the earthy flavour of turmeric. To me this is the perfect bed-time time treat. 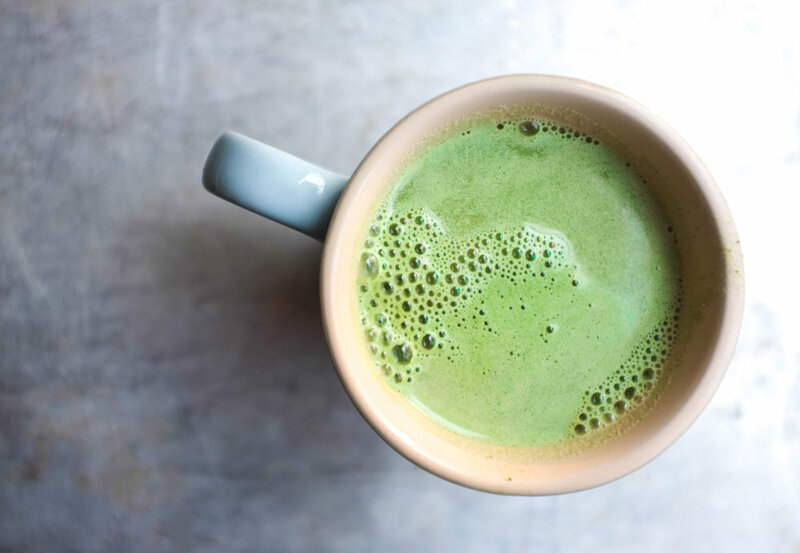 So put on your slippers, simmer a pot of this tea and let the flavours merry to create a beautiful healthful drink that is also a powerful anti-inflammatory, packed with antioxidants. I love the taste and the beautiful golden hues of yellow and orange. Why add Black Pepper? It is beneficial to use black pepper with turmeric because it helps the body absorb the turmeric. 1. 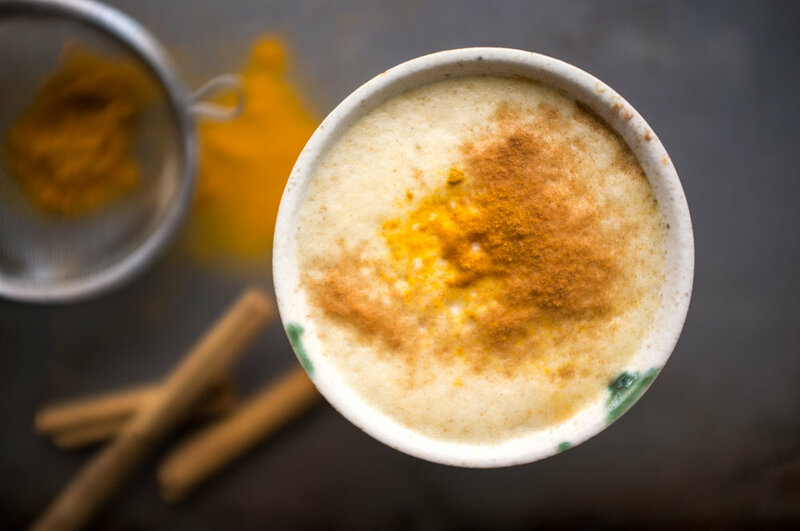 In a small saucepan add milk, cinnamon, turmeric, ginger, nutmeg, honey, peppercorns and 1 cup of water, bring to a low boil. 2. Turn down the heat and simmer for about 10 minutes. The longer you simmer the tea, the stronger and more intense the tea becomes. 3. Strain and pour into 2 mugs. 4. Top with a sprinkle of cinnamon. To chase away your chocolate craving try adding a tsp of cocoa powder. 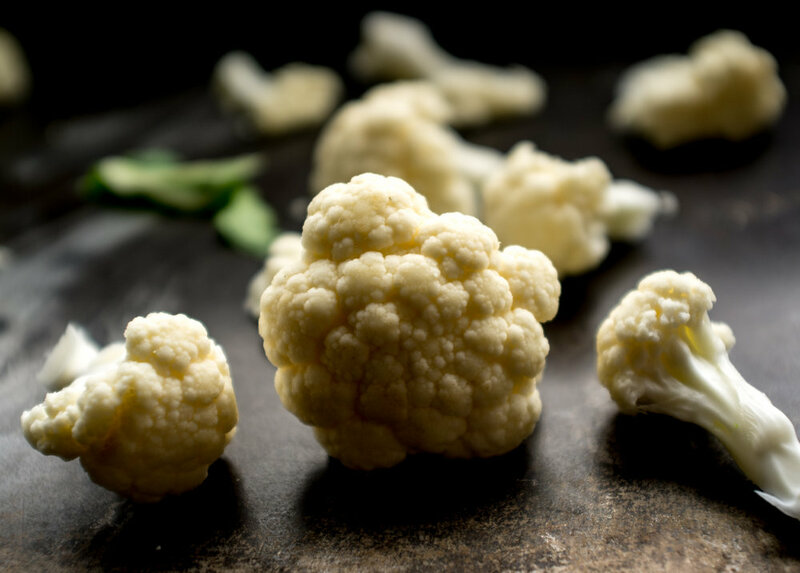 You can double the recipe and store in the fridge, gently warm before serving. I like to use fresh turmeric, but don't worry if you can't find it at the store, substitute with dried. You can also use a combination of fresh and dried. If you like your drink a bit sweeter, just add more sweetener to taste. Turmeric stains like crazy — from clothing to countertops — so be careful! These muffins are made with buckwheat flour which has a very earthy flavour. Yale said these muffins remind her of shopping at Courage My Love in Kensington Market. If you have ever shopped at Courage My Love then you know the smell, incense mixed with vintage clothing = earthy. This muffin is naturally sweetened with maple syrup. Heat oven to 350°F. Prepare a 12-cup muffin pan by either greasing or using paper liners. In a separate mixing bowl, whisk together egg, maple syrup, milk, coconut oil and vanilla extract until combined. Pour this mixture into the dry ingredient mixture, and stir with a spoon until just combined. Stir in the zucchini until just combined. Spoon into muffin tin. Bake for 18-20 minutes, or until a toothpick inserted in the centre of the muffin comes out clean. Let muffins cool before removing from pan. Add any kind of nuts of chocolate chips if you like. Paleo breads have been showing up on lots of food blogs and I thought I would give it a try. I am hearing more and more about the Paleo way of eating and I like the idea of eating less refined carbs. So what did I think of the 'bread' -- well it has a bit of an eggy taste, 5 eggs so no wonder! I also thought it was more like eating a slice of cake then a slice of bread. My next piece I toasted and voila, the perfect vehicle for almond butter. So I just think this may be my new staple. Let me know what you think. This bread will make a great base for lots of add-ins. Make sure you test with a cake tester or toothpick. Check the size of your loaf pan as the one I used is a bit smaller then the standard loaf pan you may have in your cupboard. The first two times I made this I used coconut oil to grease the loaf tin and I had trouble getting the bread out of the pan, the third time I used parchment paper and coconut oil and the bread came out with ease. I grew up when muffins were very popular. It was a treat that self-conscious teenage girls could eat without feeling guilty, we were just eating a muffin after all. Well what we were really eating was a lot of white flour, sugar and oil baked into an oversized ginormous muffin. I might as well had been eating cake. I still love muffins, but now I like to bake my own. These muffins are filled with oats, flax, dates, pecans, some very aromatic spices and sweetened with a bit of maple syrup. This recipe will make 8 - 9 muffin or if you want them ginormous over-fill the muffin tin. In a small bowl make the flax egg by adding 3 tablespoons of water to 1 tablespoon of ground flax seeds, let sit for about 10 minutes or until it thickens. Sauté apples in a medium pan with coconut oil and a sprinkle of cinnamon until apples are soft, this should take about 10 minutes, set aside. In a large bowl add the pumpkin puree, almond milk, maple syrup, coconut oil, vanilla and the flax egg. Then add the flour, oats, baking powder, baking soda, salt and cinnamon to the wet ingredients and mix until just until blended. Sprinkle a handful of oats on top.